GP4PC was started by Graham Pryke (a qualified computer technician) in 2001 as a part time business. Due to popular demand of our services GP4PC was developed to give a personal one to one computer maintenance and development program to small businesses and domestic home users. From our excellent reputation for quality work at competitive rates, the work increased and so in 2004, we extended the business hours to full time, working 6 days a week. 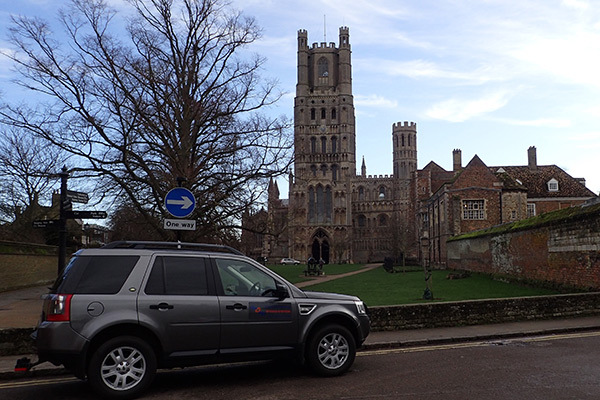 Today, after more than 15 years of trading, GP4PC is still supporting small businesses, and home users in Cambridgeshire, (UK), with quality of workmanship and service being the highest priority, along with a friendly working relationship with all of our customers. Graham has been involved in computers for over 20 years, as a computer administrator, notebook production/repair engineer, field service engineer and an IT support technician for a firm of Patent Attorney's in London, plus running his own business. During this time he has gained much experience in supporting many makes of computers, laptops and associated equipment and have successfully completed many IT computer training courses, where I have qualified as a ‘PC Service & Support Certified Professional’, and also obtained a ‘Microsoft Certified Professional’ qualification. GP4PC. Fixing computers, supporting people.